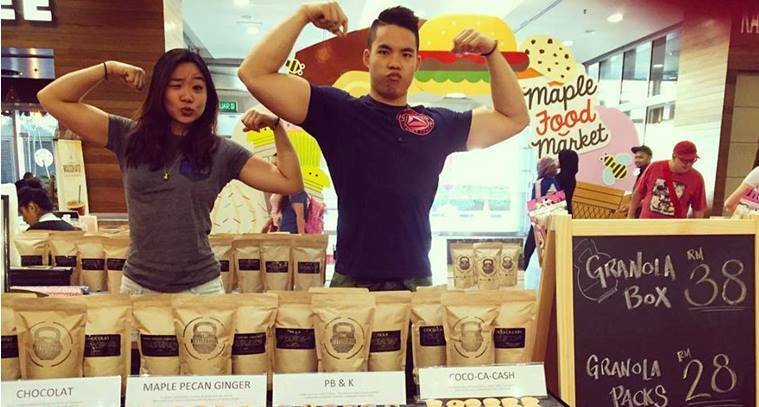 Dubbed as the ‘Crossfit couple’, Nicholas See (Nick) and Janell Tan (Nell) have always been avid believers of living a healthy yet sustainable way of life. What started off simply as means of discipline and accountability for the duo transitioned into a desire to spread inspiration and motivation to people seeking the same goal. They wanted to build a platform that could accommodate any level of conversation surrounding healthy living and nutritious eating, so ‘The Kettlebowl‘ emerged as the combination of their ideas. The inspiration behind the name The Kettlebowl comes through a great interpretation of what embodies Nick and Nell. During a road trip to Penang, the couple began toying with words relating to two of their biggest passions, Crossfit and food. They decided upon ‘The Kettlebowl’ which is based on the kettlebell, a cast-iron weighted equipment commonly used in Crossfit, and bowl which represents a food vessel for good health and fitness. Nick and Nell have always found spending time in the kitchen as an enjoyable activity for the both of them. The concept of trying out recipes and coming up with their own interpretation of their favourite dishes is a regular pasttme that helps strengthen their bond. 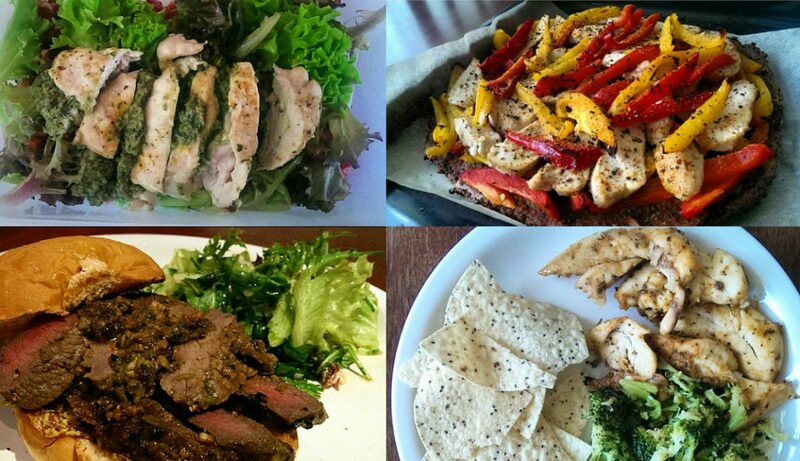 Being food lovers with fitness goals, they had to avoid things unhealthy meals they would normally enjoy. However, they still craved certain things so the couple started coming up with healthier alternatives. From fat free cheese cakes, paleo pizzas, carb-free fried rice and sweet potato brownies, it was a challenge they gladly took to see how they could make healthy food as delicious as possible. Thus they turned The Kettlebowl, which was initially introduced as a fitness page, into a business by ways of ‘The Kettlebowl granola’ at the end of November 2015. “The Kettlebowl was never meant to be a product brand name. We started this as a means of accountability—to keep track of our own fitness progress and to share our workouts and healthy recipes with whoever was interested to know,” said The Kettlebowl to Vulcan Post. Originally, they had always envisioned to do something together that revolved around the health and fitness industry such as a food delivery service but the idea was scrapped off the board when they realised it would consume too much of their time as they were already tied down to full-time jobs. They left behind the idea of beginning an enterprise together until one day when they played host to a small dinner with some of their close friends. The couple decided to serve breakfast for dessert and made some granola, from a recipe they had dabbled with before for their own personal consumption. The response from their friends were more positive than they had expected and that was the moment they realised the solution was under their noses all this while. Currently The Kettlebowl has four core flavours which are ‘Maple Pecan… Ginger? !’, ‘PB & K’, ‘Chocolat’ and ‘Coco-ca-cash’. Besides the main range, they have also introduced a few seasonal flavours such as for Christmas and Chinese New Year. Their ‘Maple Pecan… Ginger? !’ is considered one of their most unique flavour combinations because of the ginger while the crowd favourite has been their ‘PB & K’. The couple recommends eating it with milk as the peanut butter adds an extra creaminess to the entire concoction. Although the main product they’re currently selling is the granola, they have also expanded to energy bites which are basically bite-sized snacks with oats as the main ingredient. “For Raya, we launched Pina-Kolapa, which is a combination of oats, walnuts, toasted coconut flakes, bound together with pineapple paste. We are also in the midst of developing new flavours and will be expanding our product range very soon,” said The Kettlebowl. Primarily based online, The Kettlebowl has already started venturing into partnerships with other parties such as online marketplaces (PurelyB and Freshcart) and physical stores such as Redcherrystore in Jaya One, as well as Crossfit gyms. “All our flavours have been developed in-house in our own kitchen. We spent over 3 months just testing out flavours before we decided on the four we currently have. Currently, it’s mainly just us doing everything from production to marketing. However, we are in the midst of building a team as we go along, taking it one step at a time,” said the young couple. 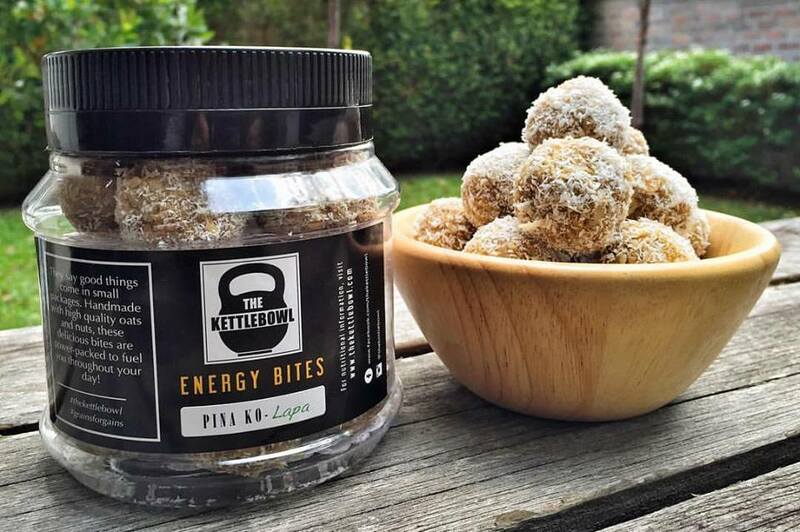 With the addition of their own granola brand, The Kettlebowl still has never steered away from their main mission which is to inspire and motivate others who may be interested in fitness yet aren’t sure on the way to go about it. They hope to be able to show that fitness is a lifestyle to be enjoyed rather than a tough regime that cannot be maintained. “To be more specific, we look to continue building The Kettlebowl into more than just being a granola brand. While we place utmost importance on the quality of our products, we want people to recognize us for the lifestyle we promote,” they said. When asked what tip they would recommend to those about to enter the fitness realm, they stated the importance of nutritional quality rather than caloric quantity—to feed your body right instead of keeping your meals light. 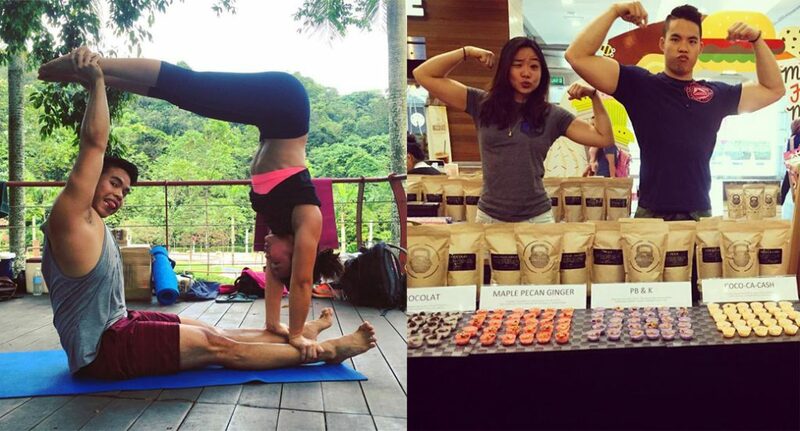 “We know how difficult it is to stick to a strict diet in a country like Malaysia where food is practically our life. We realised that the best way to go about it is through moderation. We’ve tried the common steamed chicken breast and boiled broccoli diet and could barely last 2 weeks. To us, we don’t see a point in neglecting ourselves of the joy of eating. If it’s no longer fun but instead a burden, it’s definitely not sustainable,” said The Kettlebowl. 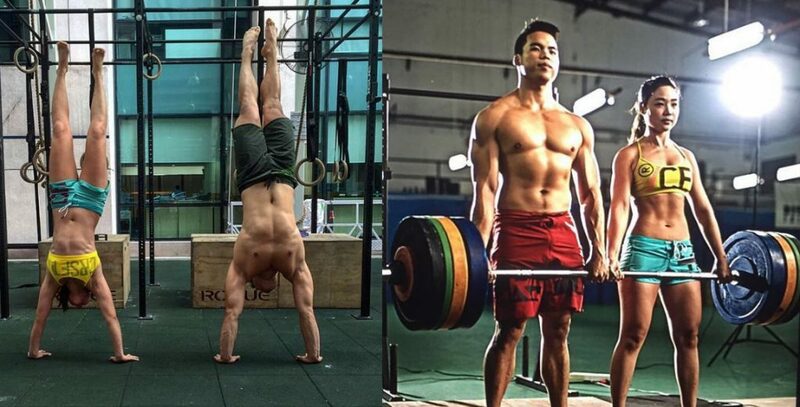 The Crossfit duo has recommended trying out ‘Flexible Dieting‘ which relies on counting your macronutrients. That makes it a lot more sustainable, keeps the cravings in check and leaves them feeling happier and healthier. Talks about the future led The Kettlebowl to share a little on what they see lies ahead for them.